Marketing firm complies with the highest environmental and social standards in the industry. As a green business, we want our clients to be aware of our environmental standards and practice sustainability as well. Graphcom, Inc., a full-service communications and marketing firm in Gettysburg, Pa., recently received Forest Stewardship Council (FSC) Certification. This certification is awarded to environmentally responsible businesses that comply with all FSC requirements. This includes using products that come from well-managed forests and are shipped and handled in a manner that conserves energy. With this certification, Graphcom is helping their clients choose products that contribute to global conservation, community wellbeing, and economic stability. If a client consults Graphcom to print a magazine, the recipient may track the project from Graphcom where it was produced, to the mill where pulp was turned into paper, to the forester that harvested the trees. This creates a chain of custody that makes the recipient fully aware that their products originated with a forester that practices responsible harvesting. The FSC sets standards for responsible forest management to protect forests for future generations. The organization’s mission is to promote environmentally sound, socially beneficial, and economically prosperous management to stop illegal deforestation that contributes to global warming and loss of animal habitat. Graphcom was audited and will be audited annually by Bureau Veritas to maintain FSC certification. 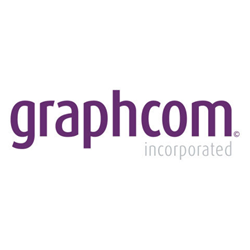 Founded in 1982, Graphcom is a full-service communications and marketing firm located in Gettysburg, Pa. The organization includes a creative agency (Graphcom Creative), a signage division (Signs by Graphcom), a publishing division (Graphcom Publishing), a digital flags and scenic effects division (Field and Floor FX), and a full-service printing division with G7PC Master Printer certification. The firm specializes in healthcare marketing services for hospitals, health systems, and nonprofit, community-based health organizations. To learn more, visit http://www.graphcom.com or call 800-669-1664.